A report published in the Independent newspaper covering a study on mobile phones states that using a mobile phone while pregnant may damage the long-term health of your baby. The study looked at 13,000 children and found a link between the use of mobile phones during pregnancy and later behavioral problems in children. 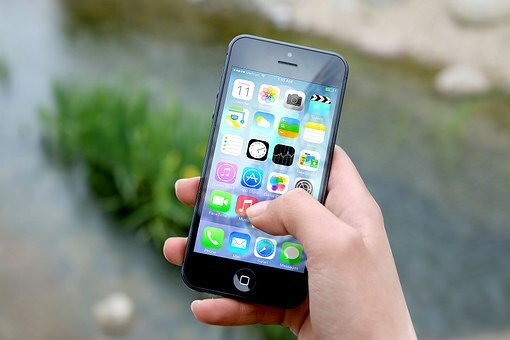 Scientists found that mothers who did use the handsets were 54 per cent more likely to have children with behavioural problems and that the likelihood increased with the amount of potential exposure to the radiation.Women who use mobile phones when pregnant are more likely to give birth to children with behavioural problems, according to authoritative research. A giant study, which surveyed more than 13,000 children, found that using the handsets just two or three times a day was enough to raise the risk of their babies developing hyperactivity and difficulties with conduct, emotions and relationships by the time they reached school age. And it adds that the likelihood is even greater if the children themselves used the phones before the age of seven. The research - at the universities of California, Los Angeles (UCLA) and Aarhus, Denmark - is to be published in the July issue of the journal Epidemiology and will carry particular weight because one of its authors has been sceptical that mobile phones pose a risk to health. UCLA's Professor Leeka Kheifets - who serves on a key committee of the International Commission on Non-Ionizing radiation Protection, the body that sets the guidelines for exposure to mobile phones - wrote three and a half years ago that the results of studies on people who used them "to date give no consistent evidence of a causal relationship between exposure to radiofrequency fields and any adverse health effect". The scientists say that the results were "unexpected", and that they knew of no biological mechanisms that could cause them. But when they tried to explain them by accounting for other possible causes - such as smoking during pregnancy, family psychiatric history or socio-economic status - they found that, far from disappearing, the association with mobile phone use got even stronger. They add that there might be other possible explanations that they did not examine - such as that mothers who used the phones frequently might pay less attention to their children - and stress that the results "should be interpreted with caution" and checked by further studies. But they conclude that "if they are real they would have major public health implications". Professor Sam Milham, of the blue-chip Mount Sinai School of medicine in New York, and the University of Washington School of Public health - one of the pioneers of research in the field - said last week that he had no doubt that the results were real. He pointed out that recent Canadian research on pregnant rats exposed to similar radiation had found structural changes in their offspring's brains.